Bands these days. So many of them form and expect instant superstardom instead of rolling up their sleeves and getting their hands dirty by establishing a rehearsal schedule, playing shows on their home turf to establish a fanbase or putting in the necessary amount of work required to make it, such as becoming friends with local press and radio, sending out packages to labels, agents and managers or fostering a following in their hometown. Then there's a band like Prospect Hill comprised of five friends who have spent the last few years pounding every square inch of the pavement to create a brand, developing an ironclad, impenetrable and unbreakable bond in their native Massachusetts, just north of Boston, every step of the way. If you reside outside of the Northeast, chances are you haven't heard of Prospect Hill…yet. But that's all about to change, once their new album Impact does just that: make an impact. Prospect Hill, named after a local neighborhood, are a textbook case of the fact that good, ol' fashioned elbow grease and determination will triumph over a bottomless reserve of major label funds any day of the week, month or year. You can't beat it, you can't fake it. When something natural, organic and unforced finds its audience and connects, there really is no stopping it. That's what Prospect Hill have done and will continue to do. The foundation has been laid. Now it's time to build atop of what's already there. Prospect Hill could very well achieve that lofty goal, thanks to their sheer willpower, work ethic and determination, which is matched equally by the crunch and resonance in the hard rock sounds they craft. The band started its career in humble fashion, by playing hand-me-down instruments and using old equipment, lacking the sort of financial backing that bands require surviving. Still, they toiled to put the requisite building blocks in place. When the foundation is strong, nothing can topple what's built upon it. Prospect Hill have been a band in some incarnation or other since some of the members were in seventh grade. "We released independent albums on our own and took to the New England scene through hard work, elbow grease and did a lot of online outreach on our own," drummer Mark Roberge recalls. "We hit it hard. I would sit on MySpace daily, manually add 500 friends a day." He did it himself, not using friend-accruing Bots or any other sort of "cheating" technology that could have been at his disposal. The result of this effort, as well as rock solid tuneage, allows Prospect Hill to pack a club with little radio airplay. "We did some crazy work. We went into a hard market, and killed it," he states, regarding the band's grassroots approach. Prospect Hill is an all-in-the-family operation, with Roberge's father serving as the band's management. 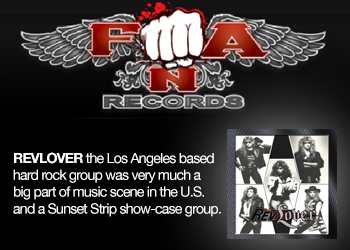 Despite lacking a big name industry exec in their corner, the band still earned opening support slots on national tours coming through their market, developed a big (not to mention passionate) enough following to pack houses and released several albums independently. 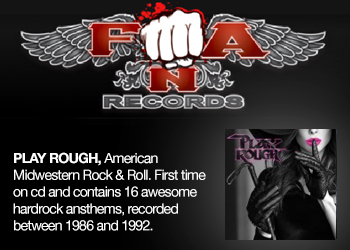 The band played gigs with the multiplatinum likes of Godsmack, Disturbed and Korn, as well as heavy hitters like Sevendust, Hinder, Trapt and more. They also earned the Best Underground Act awarded from High Times and even performed at SxSW in 2010. It's the live element that truly defines Prospect Hill. "Our biggest thing is our live show," Mark says. "You go to a Prospect Hill show, you are getting a show. It's passionate. That's how we built a following. It's hard work to get people to go to the show. If you don't do well, they are not coming back. You have to hook them and do great job." The band excelled at taking venues north of Boston and in New Hampshire that aren't normally home to rock crowds and booked the gigs themselves, hiring their own sound and staff. It was an untraditional method and mean, but it's what made the Prospect Hill model work. The band's discography consists of Prospect Hill, Out of the Ashes and For the Lovers, the Haters and the Dead. Now they are ready to take that next step to the national stage, both literally and figuratively. Say hello to Prospect Hill, rock fans. Armed with a new album titled "IMPACT" and a heavy artillery sound featuring a swirl of razor sharp riffs and melodic bluster, Prospect Hill have worked their collective butts off to get to this point. Impact is due out August 28. 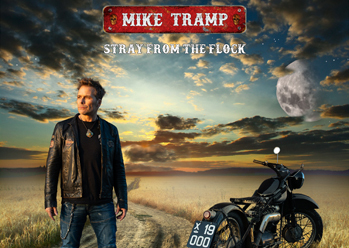 Impact will features eleven tracks crafted with a gritty passion bound by an emotionally keyed up delivery.Standouts include the song "Breakdown," from 2007's For the Lovers, the Haters and the Dead, which sold 3,500 copies out of the car trunk, and was the first to be spun on radio in non-local markets. It was produced by Anthony J. Resta (Collective Soul, Blondie). "Superhero," which appeared on the self-titled album and which carried over to Impact, is a signature Prospect Hill song, with Roberge referring to it as a "big ballad. "If you hear it once, you could sing it right back to me," he said. "It would feel great in a Spider-Man movie." The band also filmed a video for "Roller Coaster," featuring MTV Real World alum Scott Herman. It became a bit of an online hit. Right now is the time for Prospect Hill to make a national splash and turn heads on the national stage. 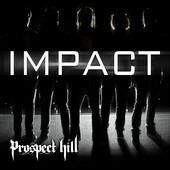 It's time for Prospect Hill to make an Impact, like a meteor-crashing to the earth and leaving a cavernous hole. That's sort of like what Prospect Hill will do once you hear their music. It will leave something behind and it's something you won't soon forget. 2013-05-18 - Prospect Hill Releases New Single "Life Goes On"